100% cotton hooded vest. 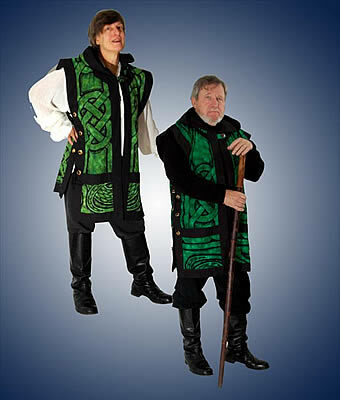 Celtic print reverses to solid black pockets grometted side ties and button neck closure in 38" length. Colors: Teal, Autumn, Red, Emerald, Green, Purple, Scarlet Red.